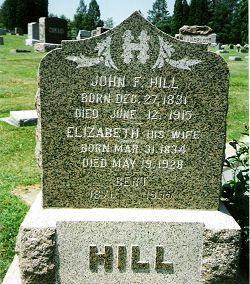 This genealogy site is focused on the Hill family tree, and related surnames. We also have a second geneology tree for people of native american ethnicity from any tribe in the United States or Canada. I don't have as much time as I would like to devtote to this website. If you are researching the Hill family, native american genealogy, or any of the the other families listed on this website, and would like to take over day to day operation, please contact us. You don't need to understand HTML. Many sections of our site use pop-ups to show additional information. If you use a pop-up blocker, add our domain to your Trusted Sites list, or else you can hold down your Control Key whenever you click a link for additional information, to override your pop-up blocker. We welcome your contributions or corrections to this site. To add your native american genealogy, or a family branch with a surname featured below, register for a free user account. Native American Genealogy Learn how to research your native american genealogy. Learn the areas where different tribes lived and what rolls they are on. Famous Native Americans Pedigrees, family group charts, burial places of famous native americans. Genealogists for Hire Hire a genealogist who is experienced in native american genealogy research. If you have any questions, corrections, or comments about the information on this site, please contact us. We look forward to hearing from you. English Ancestors Find your ancestors from England. See if you are related to royalty. Learn the origin of your English name. Irish Ancestors Find your ancestors from Ireland. See if you are from noble or highland stock. Learn the origin of your Irish name. Scotish Ancestors Find your ancestors from Scotland. What clan are you descended from? Learn the origin of your Scottish name. Norwegian Ancestors Find your ancestors from Norway / Denmark. Which of the many kingdoms of Norway was your ancestor from? French Ancestors Search for your French lines in this collection of genealogy and family history databases and resources for France. HILL Genealogy Resources for your Hill family tree research project. Genealogy pedigrees and group sheets back to 1334. RANGE Ancestors Range family history, census records, passenger lists, obituaries, military rosters, family pedigrees. COLBERT Ancestors Colbert genealogy records. Advice on searching for family history and genealogy for common names. SMALLWOOD Surname Free genealogy information. Smallwood DNA Projects, pedigrees, and pictures. HAILEY History Hailey headstones, cemetery records, pioneer journals. Hailey surname resources. REIENES Descendants Ancestors from Norway and Denmark, alternate name spellings. Where to find immigrant records. Genealogy Tips and tricks to help you begin your genealogy research. Learn the lingo, where to look,how to set up standard forms.